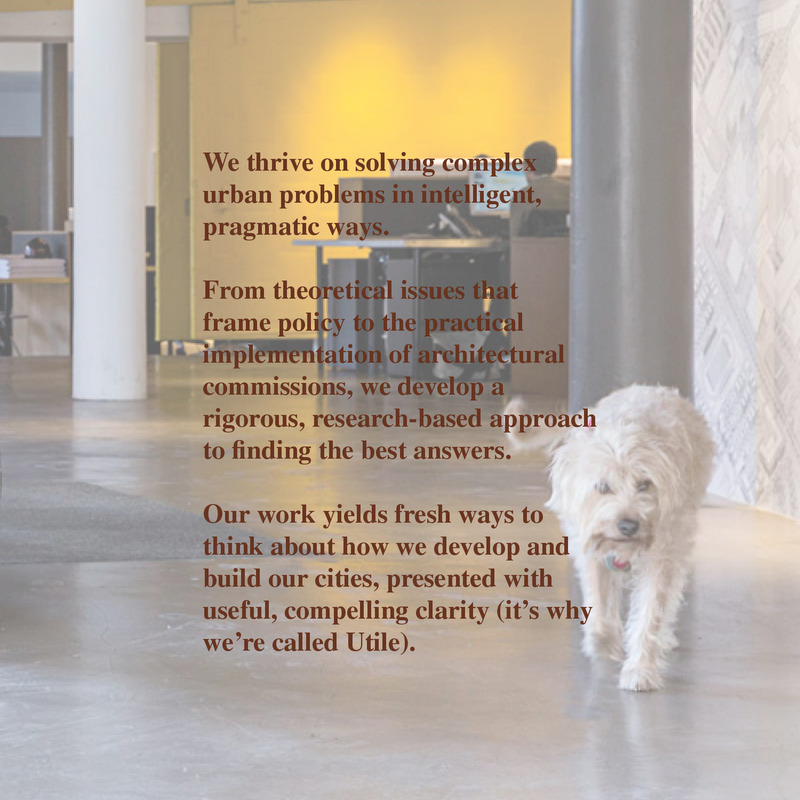 Our 55-person interdisciplinary design office, based in Boston’s Chinatown, is looking for new team members with thoughtful design approaches, superb graphic skills, and creative, quirky, and professional personalities to match our own. 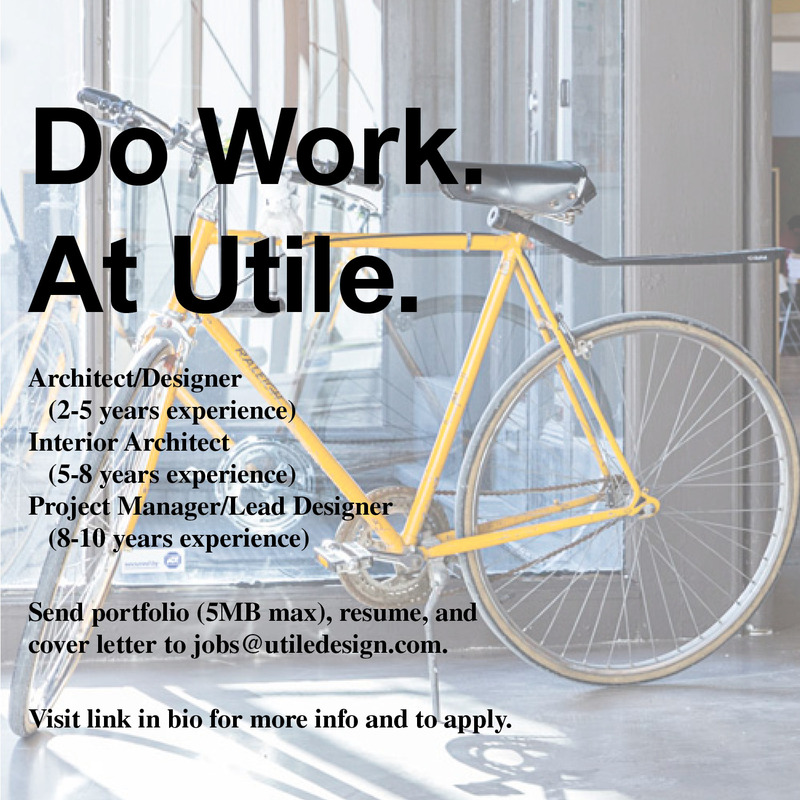 Bring to Utile your passion for solving complex design problems through fresh, research-based practices and clever clarity! Check out our Careers page to apply.